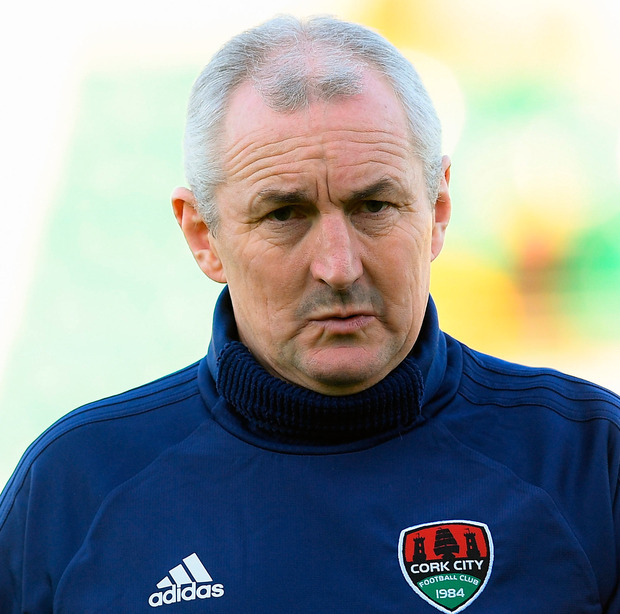 Cork City will face a familiar foe for Irish clubs after landing Legia Warsaw in the first qualifying round of the Champions League. And manager John Caulfield thinks they have landed the hardest draw available to them. The bad news was followed by a lucky break for the Leeside delegation when another draw went their way. If they do happen to lose to the Poles, they will receive a bye straight into the third round of the Europa League which means their continental campaign will carry into August whatever happens. And that stroke of luck means their minimum return for participation will be €820,000 - and not €800,000. They would be guaranteed €1.2m if they managed to find a way past Warsaw and would face a softer tie in the next Champions League round with Trnava (Slovakia) or Mostar (Bosnia) next on the list. Caulfield knows that's a big ask. Legia will be returning to Ireland for the third time in five years. Two years ago, they famously ended Dundalk's hopes of making the group stages of the competition but the tie was alive until the very last minute. In 2014, they met St Patrick's Athletic at the first hurdle, a tie that could have more relevance to this year. Legia were in pre-season and needed a late goal to take a draw from the first leg in Warsaw. But they regrouped to hammer the Saints in the return. Caulfield's men will hope to use match sharpness as an advantage for the first leg at Turner's Cross and then take a positive result into the decider. However, Legia did hammer Finnish side Mariehamn 9-0 at this round last term before losing to Kazakhstan outfit Astana. Legia are the dominant force in Poland and have won five of the last six titles. They were made to fight for their crown this year by Cillian Sheridan's Jagiellonia Bialystok with three points the eventual final margin. They have two squad members, Michael Pazdan and Artur Jedrzejczyk, at the World Cup in Russia with Pazdan involved in yesterday's loss to Senegal. "We probably got the toughest draw that was there," said Caulfield. "This is probably the best team we've been drawn against in Europe. There were other teams there that would have given us a stronger possibility of getting through. "Turner's Cross is possibly going to be their first game together in the new season so that''s maybe a slight advantage. They probably won't like the tight surroundings. We must make sure we've a full house and a hostile atmosphere and a loud atmosphere and an aggressive atmosphere to see if we can give them a little rattle." Europa League participants Dundalk, Derry City and Shamrock Rovers will learn their fate today.